15 During Passover the governor always freed a prisoner chosen by the people. 16 At that time a well-known terrorist named Jesus Barabbas was in jail. 17 So when the crowd came together, Pilate asked them, “Which prisoner do you want me to set free? 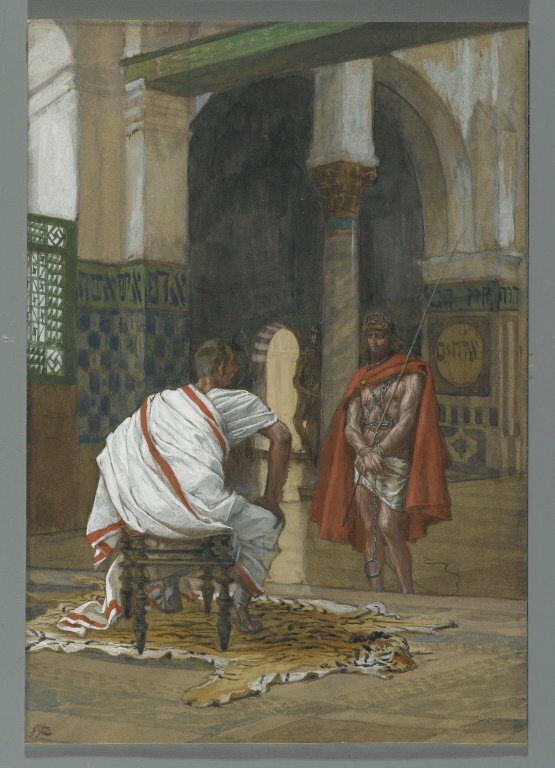 Do you want Jesus Barabbas or Jesus who is called the Messiah?” 18 Pilate knew that the leaders had brought Jesus to him because they were jealous. 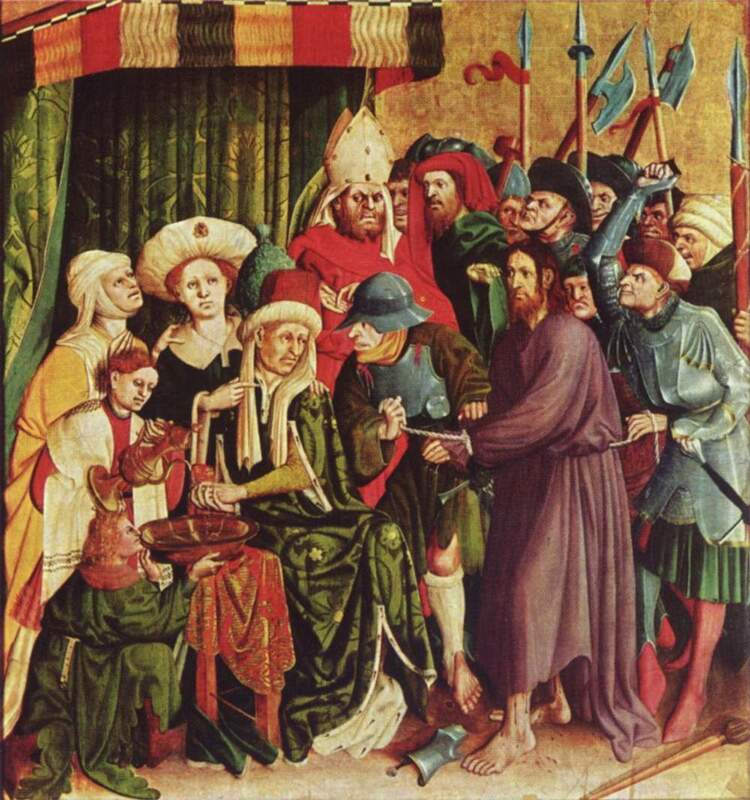 27 The governor’s soldiers led Jesus into the fortress and brought together the rest of the troops. 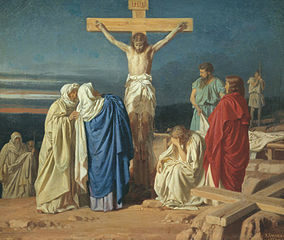 28 They stripped off Jesus’ clothes and put a scarlet robe on him. 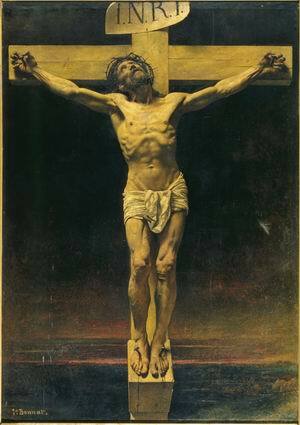 29 They made a crown out of thorn branches and placed it on his head, and they put a stick in his right hand. The soldiers knelt down and pretended to worship him. 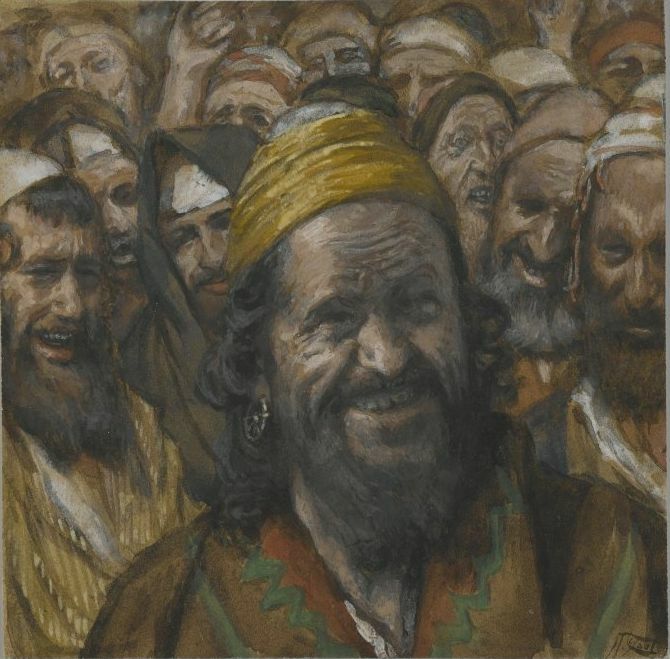 They made fun of him and shouted, “Hey, you king of the Jews!” 30 Then they spit on him. They took the stick from him and beat him on the head with it. 33 They came to a place named Golgotha, which means “Place of a Skull.” 34 There they gave Jesus some wine mixed with a drug to ease the pain. But when Jesus tasted what it was, he refused to drink it. 47 Some of the people standing there heard Jesus and said, “He’s calling for Elijah.” 48 One of them at once ran and grabbed a sponge. He soaked it in wine, then put it on a stick and held it up to Jesus. 49 Others said, “Wait! Let’s see if Elijah will come and save him.” 50 Once again Jesus shouted, and then he died. 51 At once the curtain in the temple was torn in two from top to bottom. The earth shook, and rocks split apart. 52 Graves opened, and many of God’s people were raised to life. 53 Then after Jesus had risen to life, they came out of their graves and went into the holy city, where they were seen by many people.